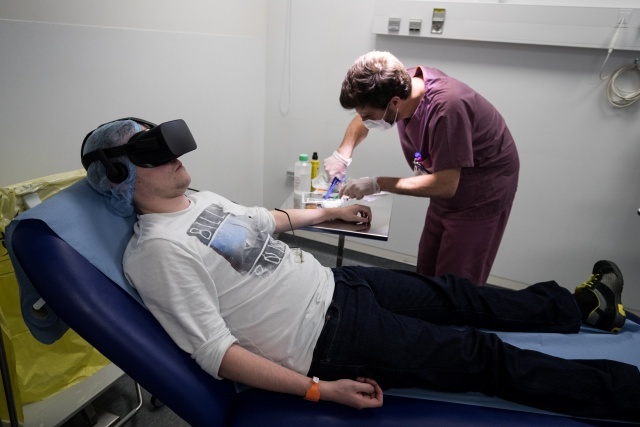 Enter an immersive virtual-reality program created by three graduates being used in France to relax patients and even increase their tolerance of pain – without resorting to drugs. “What we offer is a contemplative world where the patient goes on a guided tour, in interactive mode, to play music, do a bit of painting or work out a riddle,” said Reda Khouadra, one of the 24-year-olds behind the project. 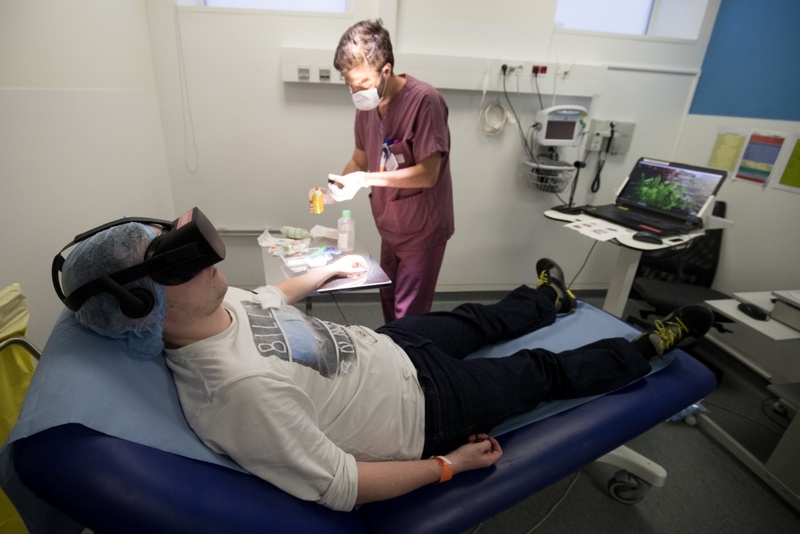 As patients are transported by chunky VR goggles into a three-dimensional world of Japanese zen gardens or snowy hillsides, they become more tolerant of minor but painful procedures such as having a cut stitched, a burn treated, a urinary catheter inserted or a dislocated shoulder pushed back into place. 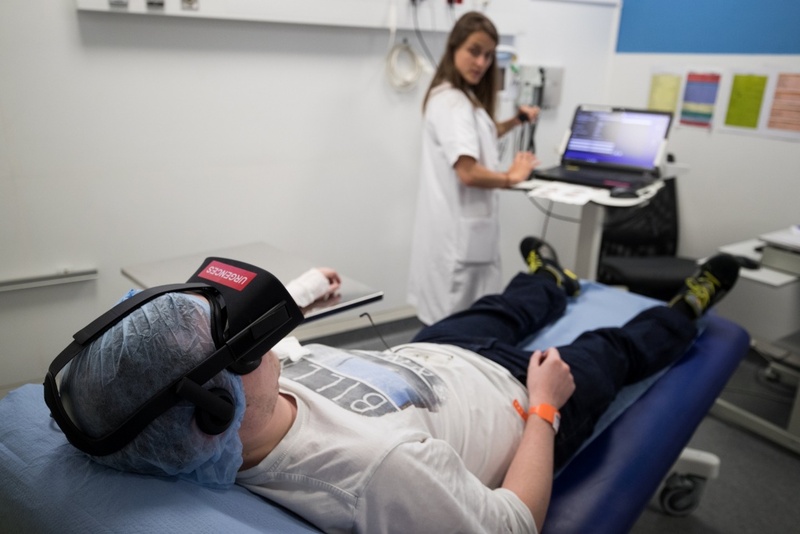 “The virtual reality project … enables us to offer patients a technique to distract their attention and curb their pain and anxiety when being treated in the emergency room,” said Olivier Ganansia, head of the emergency department at the Saint-Joseph Hospital in Paris. The Healthy Mind startup is not a world first but has landed a $20,000 prize from a university in Adelaide, Australia – which will now pay for the three founders to present their project at Microsoft‘s headquarters in the U.S. city of Seattle.